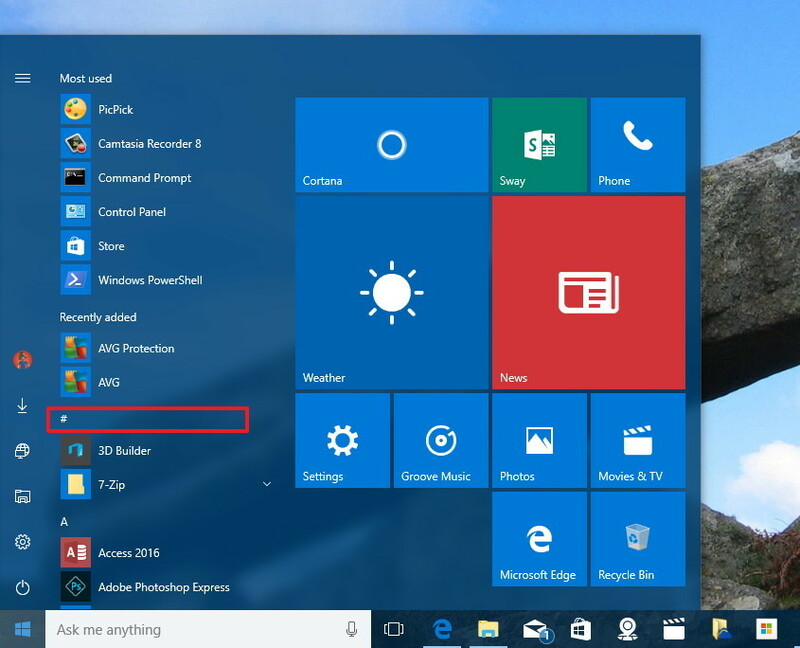 In this new flight, Microsoft isn’t introducing significant changes on the Start menu, but there is a new tweak. When you open Start, Microsoft has changed the label from 0-9 to # for the group of apps which names begin with a number. In the notification area, the Action Center button no longer shows the number of notifications when using smaller icons, and the icon has also been updated to make it clear when quiet hours is turned on. Inside Action Center, Microsoft is making the target to dismiss notifications larger to make easier to close items. The new build also supports notifications syncing between your PC and your Windows 10 Mobile, but it requires the phone to be running build 14352 or later, which Microsoft hasn’t roll out yet. While File Explorer remains virtually unchanged, Microsoft recently introduced a new icon, but after feedback, it’s rolling back the same familiar yellow and blue colors. 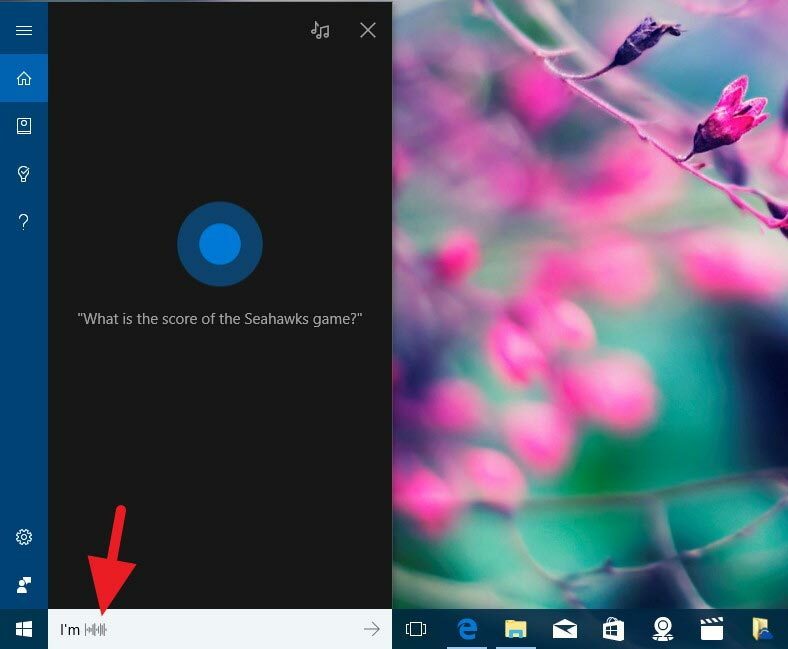 The test version of the Windows 10 Anniversary Update brings some improvements to Cortana. 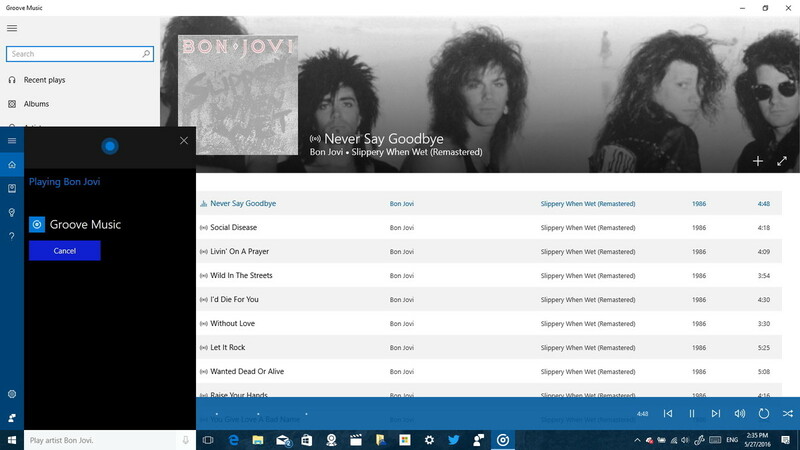 Starting with build 14352, the digital assistant includes the ability to play songs from Groove Music, in addition to playing songs from your local files and OneDrive. Now you can also set a timer using Cortana to remind you to take a break, or you need to control the food you’re cooking. Also, after setting a timer, you can ask how long is left in the countdown or cancel the timer using natural language. The new feature works on your PC when you’re signed in or when you’re using Cortana above the Lock screen. It also works on your phone using speech or text. You’ll also notice that starting with this new preview; Microsoft is updating the animation when Cortana is listening and decoding what you’re trying to say with a sound wave animation. In addition, there a few other changes in Cortana found in build 14352. For example, Microsoft is relocating the settings and feedback button in the left rail to the bottom to align the UI we see with Universal Windows Platform (UWP) apps. 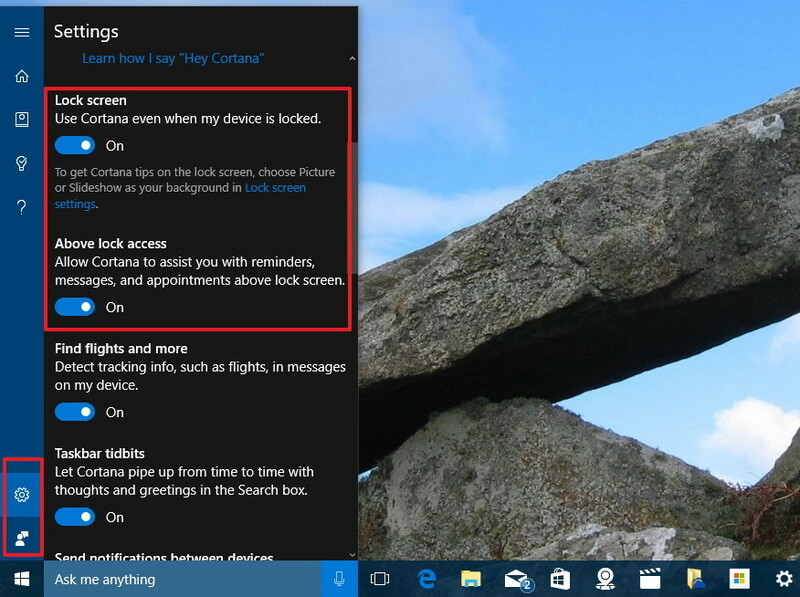 Previously, Microsoft added an option inside the Cortana settings to make the assistant available on the Lock screen. Now in the latest preview, Microsoft is adding a second option called “Above lock access” to allow Cortana to assist you with reminders, messages, and appointments above the Lock screen. The Windows 10 Anniversary Update will also come with Windows Ink, which is a new experience that lets users with touch-enabled devices quickly and easily write notes, sketch, and annotate screenshots with a stylus, such as the Surface Pen, and the new inking experience is adding several noticeable improvements. In Windows 10 build 14352, Sticky Notes are getting more useful, thanks to Bing and Cortana. 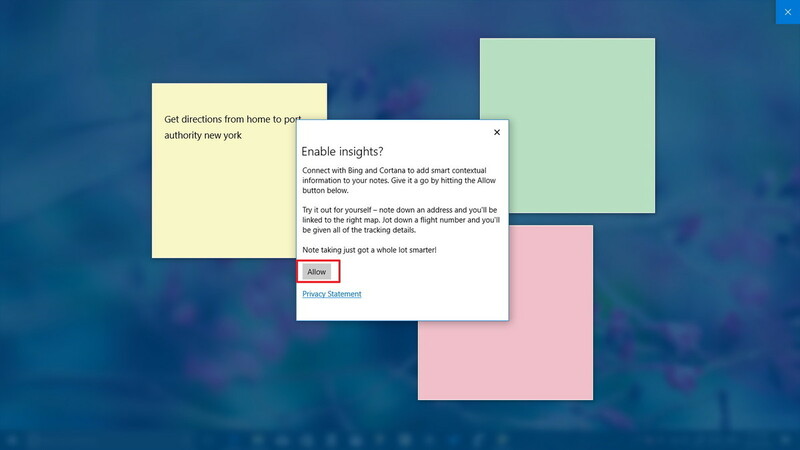 Now when you open Sticky Notes, you’ll be prompted to enable the new insights feature, which allows Cortana to recognize phone numbers, email addresses, and URLs so that you can take different actions right from the note. For example, if your Sticky Note includes a phone number it will get highlighted, and when you click the phone number, you’ll notice a Call button to place the call. If you type a URL, when you click the link, it will open that particular page in your web browser. Quick Tip: You can always enable and disable insights on Sticky Notes by clicking the menu button on a note, selecting Settings, and clicking Enable insights. If you write a few jotted-down bulleted items, your note will also become an easy-to-manage checklist. The Sketchpad now includes a few new keyboard shortcuts to make it easier to move away from the app. Now you can press the ESC, Windows key + D, or Windows key + S keyboard shortcuts to dismiss the Sketchpad. The save icon has also been updated based on feedback, and now it features a familiar floppy disk icon. Other improvements on the Sketchpad includes the ability to resume faster when there are a lot of strokes on a sketch. 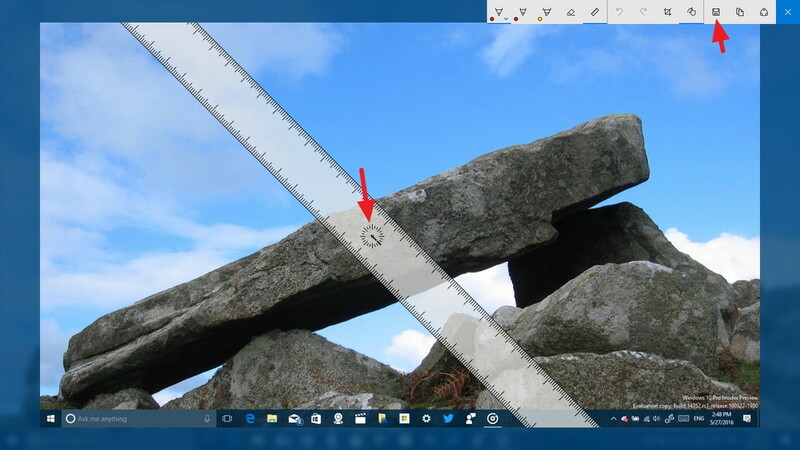 The ruler for Windows Ink has also been updated, and now it includes a compass that moves as you move the ruler indicating cardinal points or midpoints. Additionally, if you don’t have a stylus, Screen Sketch and Sketchpad now will have touch-inking enabled by default. Windows 10 build 14352 updates Microsoft Edge from version 38.14342 to 38.14352, but there are not significant changes. 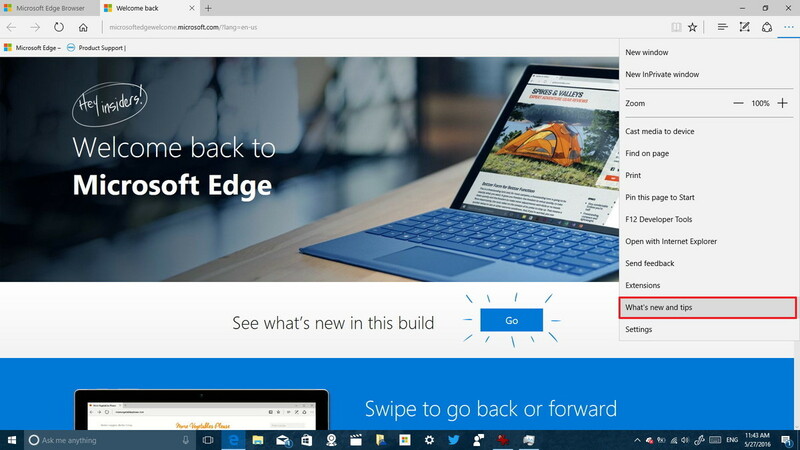 Some minor improvements include the “What’s new and tips” item in the menu, which currently will only direct you to Microsoft Edge welcome page. 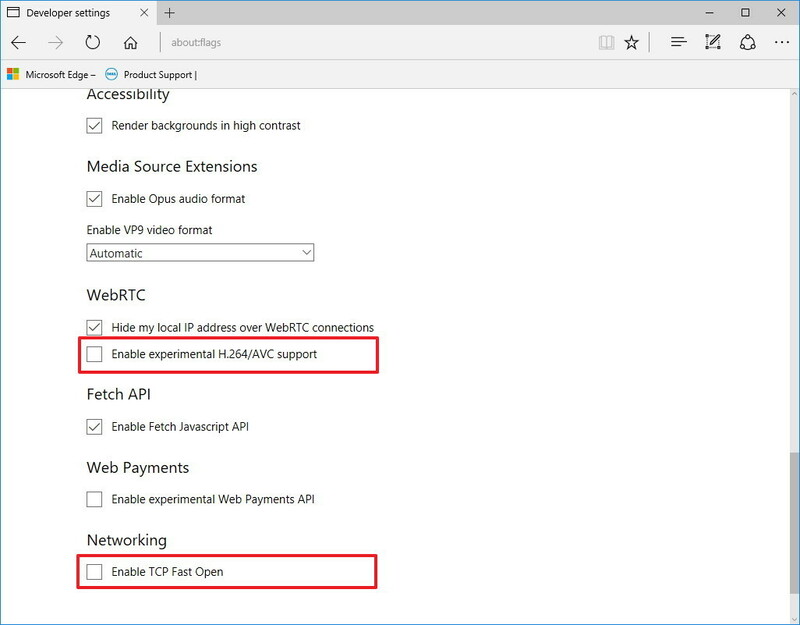 On about:flags, you can now enable experimental H.264/AVC over WebRTC, and there is also experimental support for TCP Fast Open on the Networking section. The Settings app usually has a lot of tweaks and improvements, but in build 14352 there are only a few changes. While the Settings app remains virtually the same in this build, Microsoft is adding the Ctrl + Ekeyboard shortcut to direct focus to the search bar when you need to look for settings. 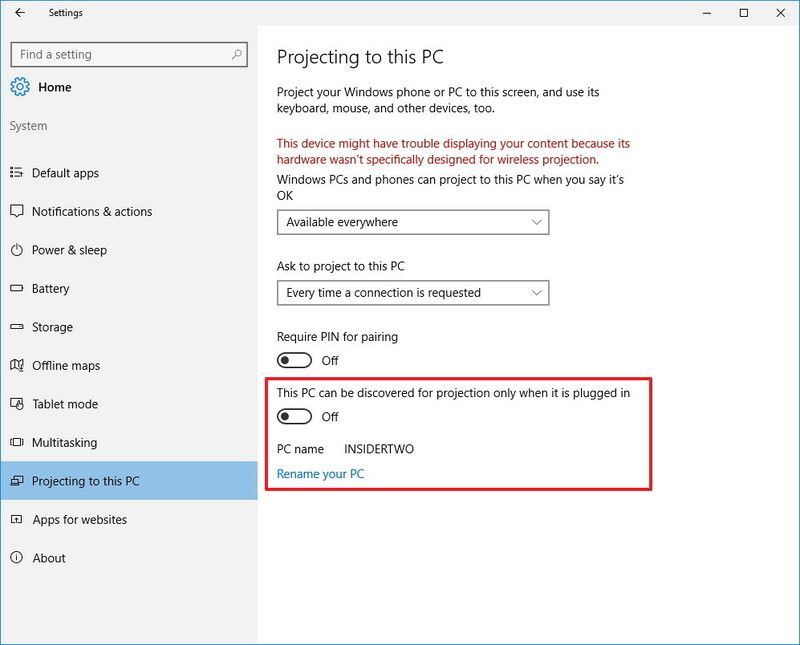 In build 14352, Projecting to this PC has been slightly updated, and now includes a “This PC can be discovered from projection only when is plugged in” option. The settings page also display your computer name and link to rename your device to make the connection easier. On Settings > Update & security there are a number of changes. 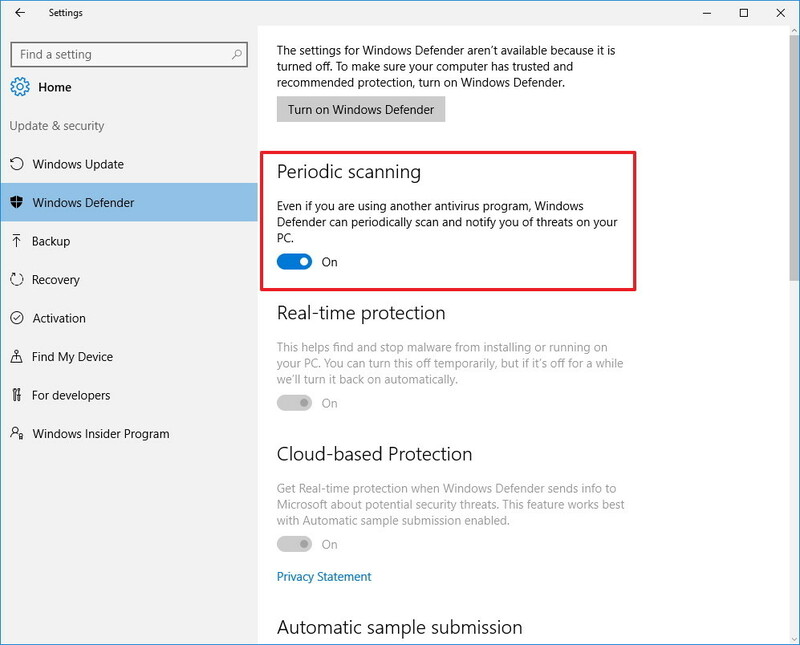 On Windows Defender, the Windows 10 Anniversary Update introduces a few feature calledPeriodic scanning, which is a new security setting that you have to manually enable when you use a third-party antivirus other than Windows Defender. The feature adds another layer of protection fighting malware on your computer. When you enable Periodic scanning, Windows 10 will use Windows Defender to scan your computer for malicious code. According to the company, the new feature uses Automatic Maintenance to ensure the scans are scheduled at optimal times to avoid performance impact and problems with battery life. Remember that Periodic scanning is only available when you install a third-party antivirus software. When a new virus is detected, Windows Defender will use a toast notification to alert you of the threat. While the software will automatically deal with malicious code, you can also click the notification to review the threat and take different actions. On Recovery there aren’t new features, but the new flight now shows a link to learn how to do a clean install of Windows 10. Currently, the link will open a Microsoft forum discussion, where Jason, Program Manager of the Windows Insider Engineering team at Microsoft, explains that the company is working on a new tool to install Windows 10 easily from scratch. 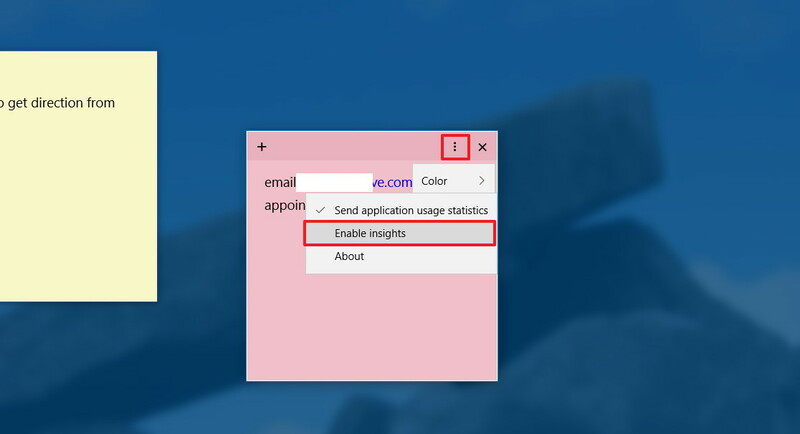 On Activation, Microsoft has changed the Change product key button, for a link with an icon in the form of key. In addition and perhaps the most notable improvement is the ability for IT professionals to upgrade easily from Windows 10 Pro to Enterprise. Before the Anniversary Update to upgrade from Windows 10 Pro to Enterprise required users to erase the hard drive and install the operating system from scratch. 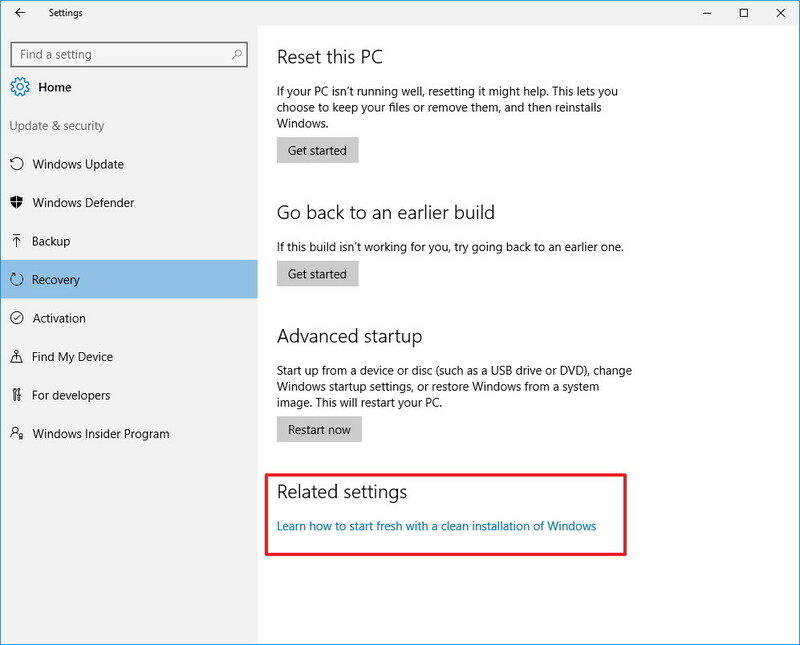 Starting with Windows 10 build 14352 and moving forward, IT professionals can upgrade to the Enterprise edition without needing to wipe out their system, and after the update a reboot is no longer required. 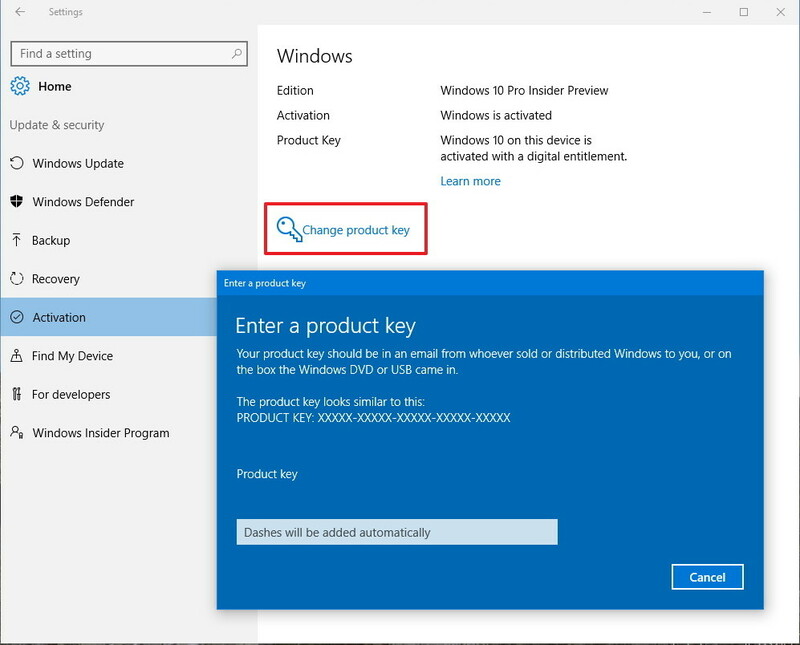 The only thing you need to do is to click the Change product key link on Windows 10 Pro and enter your Enterprise product key. On Windows Insider Program, the settings page finally gets a proper icon. Windows 10 Game DVR is a great tool that allows you to record game clips, which then you can share with family and friends. However, the ability to record games in full-screen isn’t supported on all titles. Now in the new build, Microsoft is adding full-screen recording support using the Windows game bar in new games, including League of Legends, World of Warcraft, Diablo III, DOTA 2, Counter Strike: Global Offensive, and Battlefield 4. In the Feedback Hub app, you’ll now see status tags letting you know how Microsoft is working to address the feedback. Also, these new tags with status will be published alongside responses from Microsoft on feedback. Microsoft is currently in the stages of finalizing the Anniversary Update to meet the deadline in July, as such moving forward we’re likely not going to see the introduction of new significant features. Instead, we’ll see tweaks, a lot of bug fixes, and just general improvements to get the operating system ready for the masses. Along with the new changes and enhancements, Microsoft has published some fixes included with build 14352, as well as a few known issues. 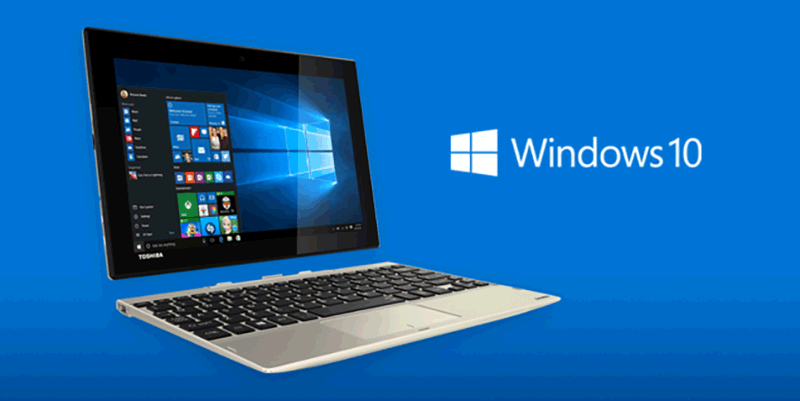 What do you think about all the new changes in this new flight of Windows 10? Let us know what you think in the comments below.